Dimensions: 21L x 18W x 18H in. 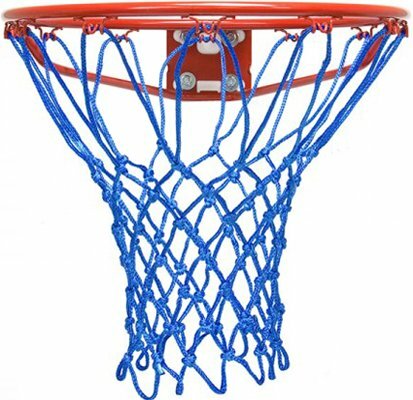 Purchase Krazy Netz Polyester Basketball Net at Discounted Prices ✓ FREE DELIVERY possible on eligible purchases. The Krazy Netz Baby Blue Basketball Net comes in an array of colors so you can pick the hue that suits your game playing needs. The heavy duty polyester construction makes it the perfect choice for the avid player, and the UV resistant coating keeps the colors of your choice nice and bright for a long time to come. Dimensions: 21L x 18W x 18H in.. Constructed from heavy duty polyester. Choose from available colors. Fade resistant UV coating. For indoor or outdoor use.